By using the website and/or registering yourself on www.salespanda.com you authorize us & our associate partners to contact you via email or phone call and offer you our services for the Software-As-A-Service (SAAS) you have opted for, imparting product knowledge, offer promotions running on website & offers offered by the associated third parties. And Irrespective of the fact if also you have registered yourself under DND or DNC or NCPR service, you still authorize us to give you a call from SalesPanda & associate partners for the above mentioned purposes. 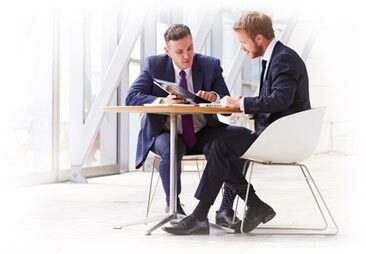 SalesPanda collects personally identifiable information when you register for a SalesPanda account, when you use certain SalesPanda SAAS or other services, when you visit SalesPanda pages, and when you/visitors on your site (subdomain serviced by SalesPanda)enter contact and lead information. SalesPanda may also receive personally identifiable information from our business partners and multiple sources. When you register with SalesPanda, we ask for your first name, last name, state, city, email, phone number, company you are working in and other pertinent details. Once you register with SalesPanda and sign in to our services, you are not anonymous to us. We validate the information you provide to us about you, your company, contacts uploaded on your manager section of subdomain hosted by SalesPanda - hence we might need to contact you and validate the contact information you have uploaded in SalesPanda. Also during registration, you may be requested to register your mobile phone and email id or other channels to receive text messages, notifications, and other services to your wireless device. By registration you authorize us to send sms/email alerts to you for your login details and any other service requirements or some advertising messages/emails from us. "If you are no longer interested in receiving e-mail announcements and other marketing information from us, or you want us to remove any PII that we have collected about you, please e-mail your request to unsubscribe@salespanda.com." SalesPanda clients and associates are mostly marketing companies selling marketing technology products and services or are in related fields. Visitors to this website/SAAS Application and every third party is hereby informed that the owners of this website/SAAS Application, viz., Bizight Solutions Pvt. Ltd., are not the agents or intermediaries of any clients who use our SAAS for their marketing needs. Though endeavour is made to provide correct information on contacts, products, services and leads, based on the information provided by other users, it is made abundantly clear that Bizight Solutions Pvt. Ltd., its directors, shareholders, officers and employees and SalesPanda are in no way responsible to or liable for any procurement decision based on this information. A cookie is a small file placed onto your device that is either live till the browser session is on (session cookies) or for a longer time (persistent). The session cookie keeps information about the visitor behaviour for the session and goes away once the browser is closed. A persistent cookie on the other hand helps SalesPanda identify returning visitors. There are certain targeting features in SalesPanda which are enabled using cookies. For example, you want to show a certain engagement window only to visitors from a specific country and coming from a specific referral site. For the duration of the visit, the referral site is used to show those engagement windows which are targeted towards traffic from a specific referral site or other targeting criteria. This is done using session cookies. Persistent cookies are used to identify returning users and they are shown different information than first-time visitors. The above mentioned cookies are thus only for better experience and serving pertinent content to your website visitors based on their referral source and repeat visits. We do not use any third-party cookies.